The Lizard’s Tale – Part 2! 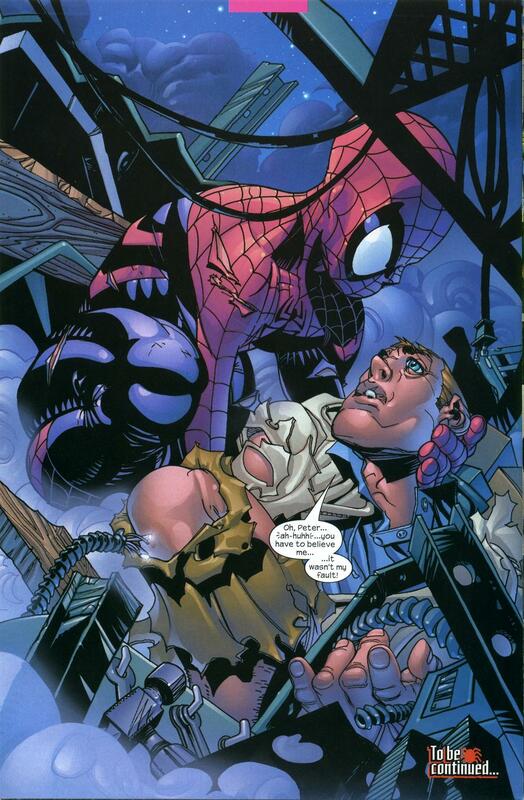 Paul Jenkins took a more psychological approach to Spider-man and his villians when he wrote The Spectacular Spider-man. In “The Lizard’s Tale,” Jenkin hypothesizes that maybe Dr. Curt Connors doesn’t really lose control. 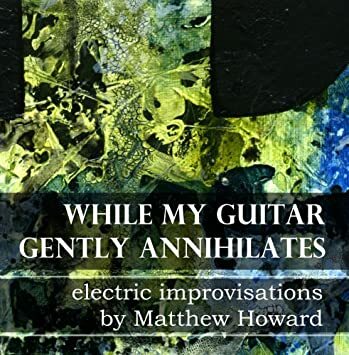 Maybe he just uses his Lizard persona to act out all his violent fantasies – his dark side. Kind of like people who drink too much and use it as an excuse to be dumb jerks. – From The Spectacular Spider-man #12-13. 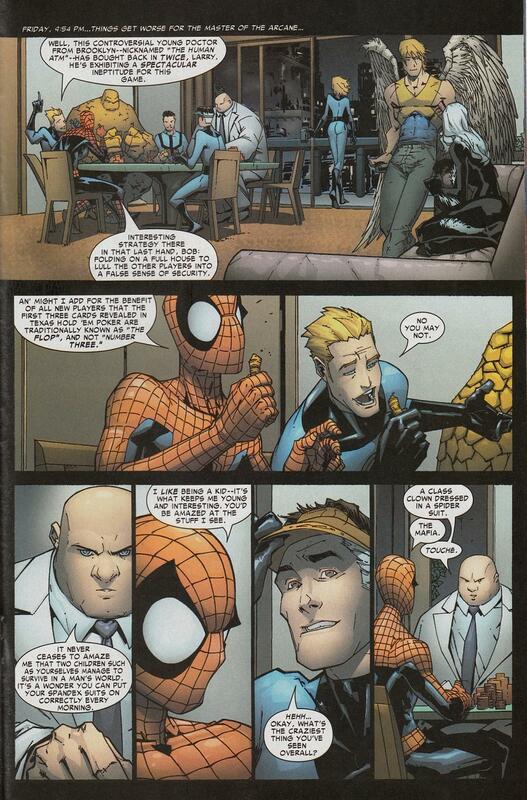 – Reprinted in Spectacular Spider-man TPB #3, 2004. 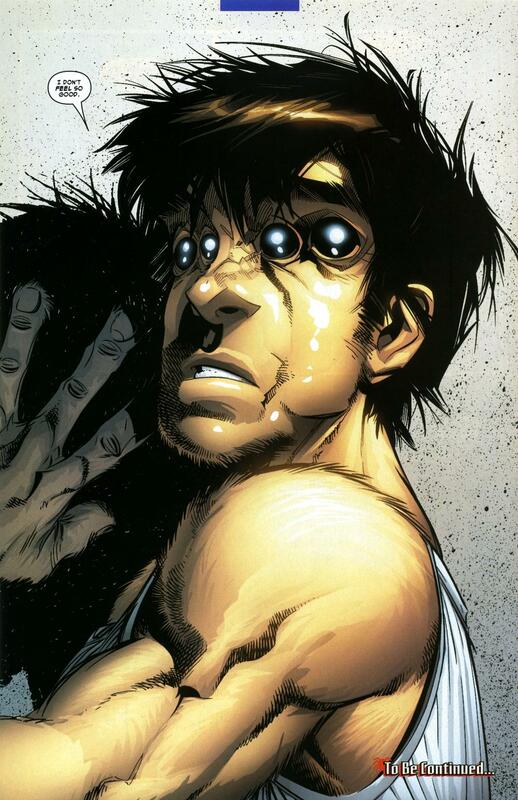 Story by Paul Jenkins, Pencils by Daimon Scott. The Lizard’s Tale – Part 1! Story by Paul Jenkins, Pencils by Daimon Scott. Nice work by the colorist, too! 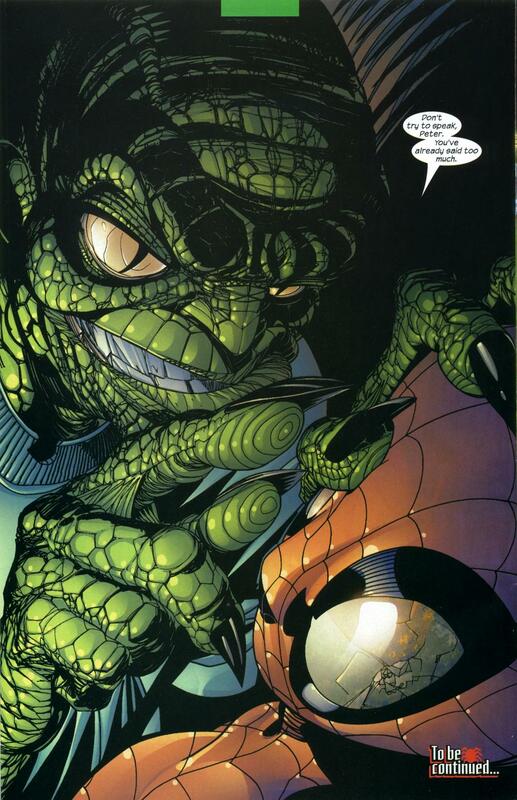 We love how the color articulates every web on Spidey’s costume and every scale on The Lizard. Compulsion: College Kids Take on Spider-man! 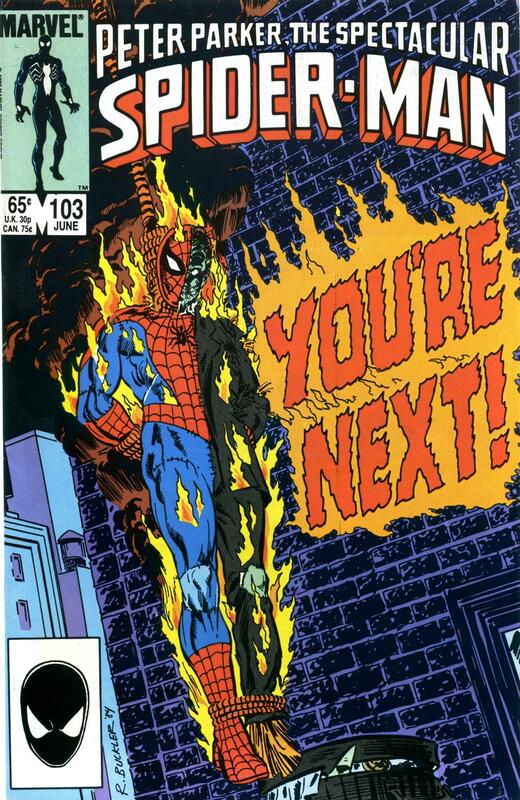 “Super-heroes are a superstitious and cowardly lot!” Three bored Empire State University students create an imaginary villain called “Blaze” to harass Spider-Man. However, the prank goes too far! – From Peter Parker, the Spectacular Spider-man #103. Marvel Comics, 1985. Script by Peter David; Pencils and Inks by Rich Buckler and Armando Gil. Ah, romance. Spidey, how many times have we told you not to get involved with criminals? 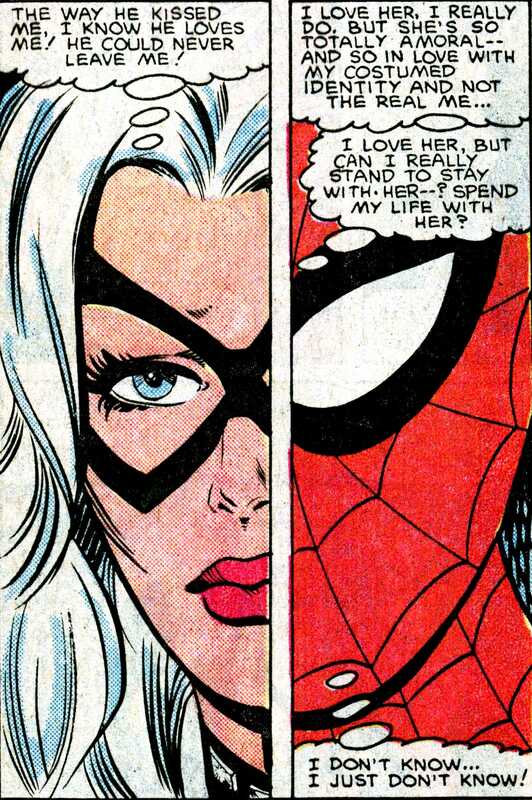 Here’s a cool split-panel showing Spider-man and the Black Cat musing over their little drama. – from Peter Parker Spectacular Spider-man #98; Marvel Comics.